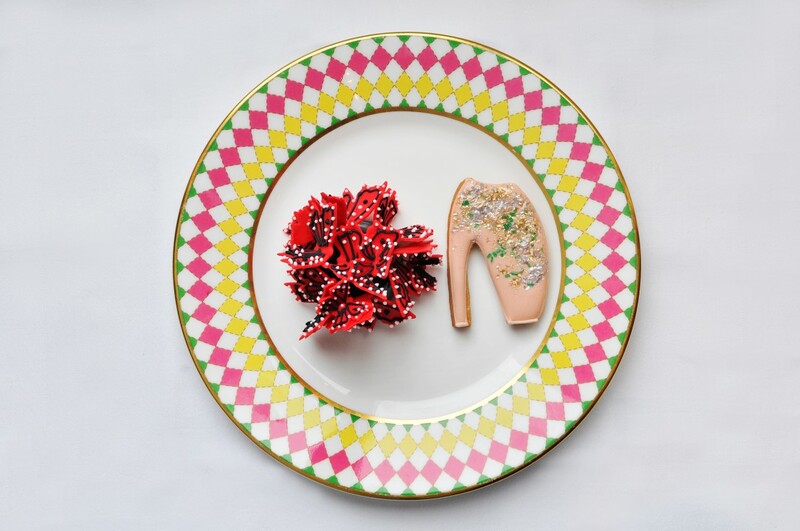 If you want to experience something a little different in the afternoon tea stakes, then follow in the footsteps of the fashionistas and take a savagely wonderful afternoon tea at The Berkeley, London. Why savagely wonderful you might ask? Well, it is of course an afternoon tea – or rather a Prêt-à-Portea – that takes its inspiration from the glamorous world of high fashion and couture – and on this occasion, from the blockbuster exhibition Alexander McQueen: Savage Beauty. Each season, The Berkeley’s head pastry chef, Mourad Khiat, takes inspiration from the collections of London Fashion Week and interprets his vision in beautifully crafted biscuits and cakes. These are served, as you might expect, on bespoke china designed by Paul Smith, no less, in the hotel’s Caramel Room. 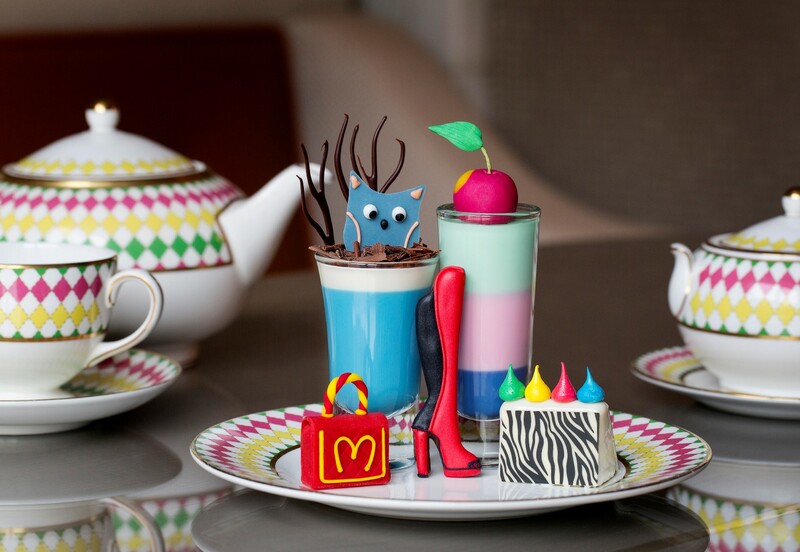 This season, Prêt-à-Portea has included a tribute to the Victoria and Albert Museum’s Alexander McQueen: Savage Beauty exhibition by including two of the designer’s most iconic designs within the tea. 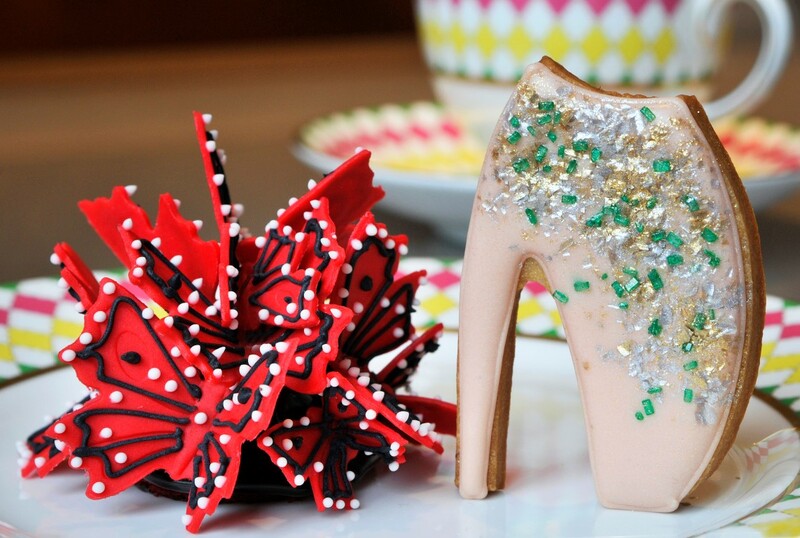 The first is the famous “armadillo” shoe, created as a heeled chocolate biscuit with cream icing and edible sparkles. 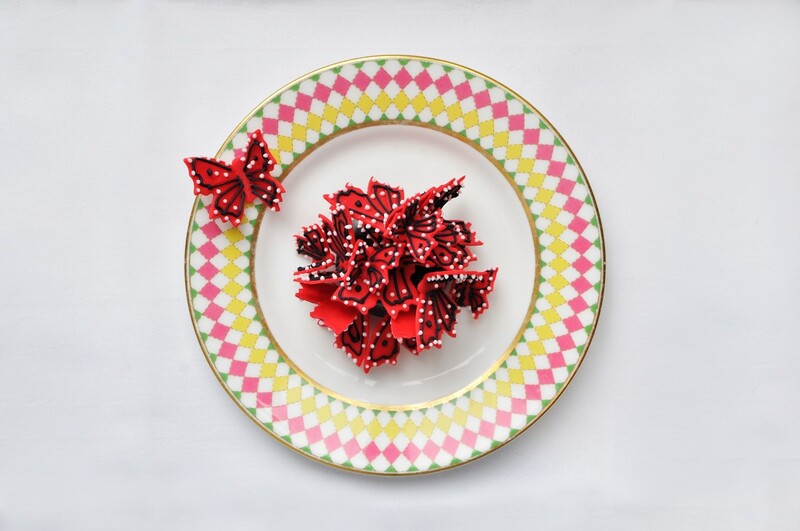 The other reinvents the much adored feather Butterfly Hat by Philip Treacy – blending a deliciously dark chocolate mousse set on a sablé breton glazed with a chocolate mirror and delicate red sugar butterflies. The Berkeley’s Prêt-à-Portea has been a staple on the fashion circuit for a decade now and just seems to go from strength to strength. And if you cannot finish your tea (or can’t bear to eat these gastronomic pieces of art), you can take the precious goodies away in possibly London’s most stylish doggy bag. Booking essential! Alexander McQueen: Savage Beauty, in partnership with Swarovski, supported by American Express and made possible with the co-operation of Alexander McQueen, runs from 14th March – 2nd August 2015 at the Victoria and Albert Museum. There are still tickets available so snap one up soon – www.vam.ac.uk/savagebeauty. Follow Victoria and Albert Museum on twitter @V_and_A and on Facebook: Victoria and Albert Museum.